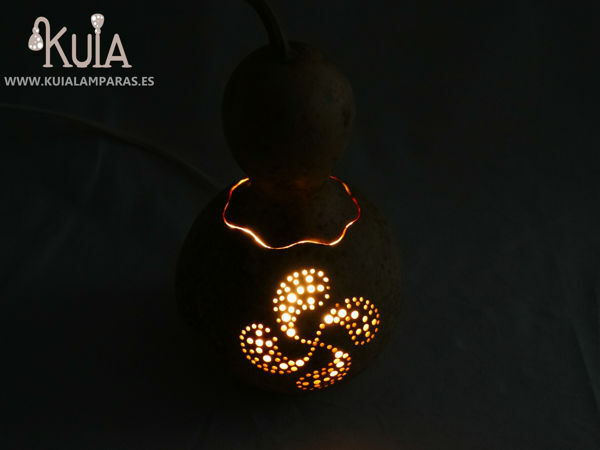 Symbol lamp.A small decorative lamp with a Lauburu design (Basque symbol which means 4 heads). 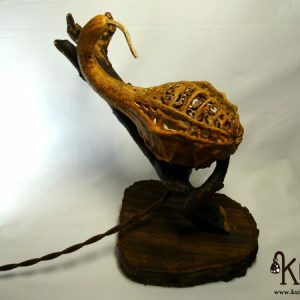 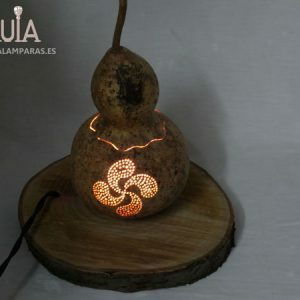 Decorative table lamp, is not designed to give enough light, but to create a decorative lighting design, with the lamp lit in the dark will highlight hand carved lauburu on the gourd. 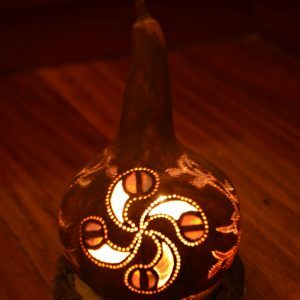 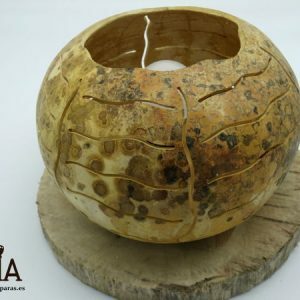 With rustic aspect, this pumpkin lamp, made by hand can be used in bars or other establishments wishing to decorate your space in an original way. 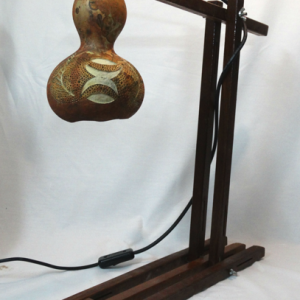 The gourd is natural, unpainted. 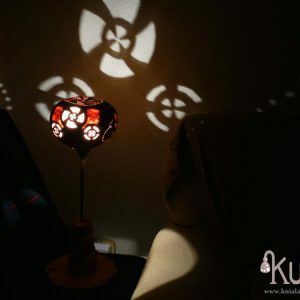 And it has a cover to change the light. 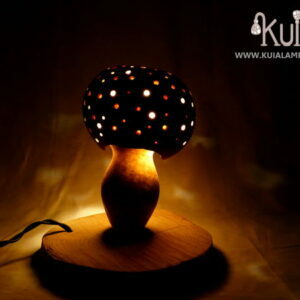 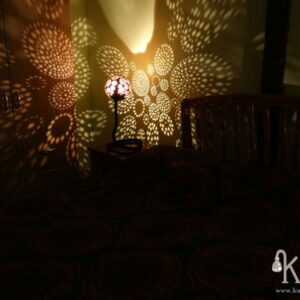 In addition, if you want more light, you can remove the cover and the lamp emits a pleasant light and atmosphere.